Initially, corporate sustainability was a tertiary practice that focused on reporting; increasingly, it is influencing core strategic business decisions. A proactive stance on sustainability is becoming a competitive necessity to attract investors, source talent, meet the requirements of supply chain partners, and address growing consumer demand. Companies are seeing the value of operating in ways that address environmental concerns, health and safety issues and operational risks. They increasingly understand that good product stewardship, responsible energy consumption, and low carbon practices are necessary components of a competitive business. Although a sustainability strategy can be onerous, it is an increasingly essential aspect of a viable business. Engaging sustainability requires that companies are innovative and that they know consumers. Obviously, they must avoid greenwashing and they must tie sustainability to their core business. Some of the contemporary realities that are emerging around the issue of sustainability involve collaborative approaches and securing appropriate external certification. Despite strong evidence, there are many who question whether sustainability and profits are mutually exclusive. The truth may be somewhat nuanced, but the evidence appears to indicate that sustainability does not preclude profits. In the absence of sustainable development policy from national government, the business community is driving sustainability. According to 2012 survey released by GlobeScan and SustainAbility, more than 76 percent of sustainability experts think a major catastrophe will have to occur for national governments to take action on sustainable development. The poll surveyed 1,603 sustainability experts in 117 countries. One of the more interesting findings in the survey indicated that respondents looked to the business community to work with governments to establish a regulatory environment. Forty-one percent said technology and innovation are the best ways the private sector can contribute to sustainable development. A total of 80 percent of those who participated said that the current economic system will need to be radically transformed. However, almost 70 percent said that the absence of political will is the greatest obstacle to progress on sustainable development. As reported by Greenbiz, a global survey from Deloitte demonstrates that a growing number of chief financial officers (CFOs) are driving sustainability strategies. The survey, conducted by Verdantix, indicates that CFOs are realizing the key role sustainability plays in financial and business success. Led by cost savings attributable to better energy management, there was a marked change between 2012 results and results from 2011. The percentage of CFOs that are engaged in sustainability issues at their companies jumped from 20 percent last year to 36 percent in 2012. Drawn from the responses of 250 CFOs in 14 countries including the United States, Brazil and South Africa, Deloitte found that two-thirds of CFOs are involved in their company’s sustainability strategies. More than half of those surveyed say their involvement has grown in the past year. 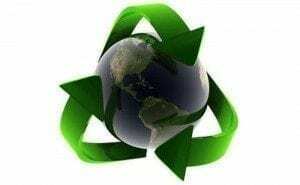 An October 17, 2012 press release on the fourth annual BSR/GlobeScan State of Sustainable Business Poll 2012 indicated that the global business community has made progress on 14 key sustainability challenges over the past 20 years. One of the chief areas of progress involves the issue of reporting; 55 percent said they either currently produce or will soon produce reports that integrate financial and sustainability data. For the second year in a row, a solid majority (62 percent) of respondents identified integrating sustainability into core business operations as the most important leadership challenge for business today. BSR and GlobeScan surveyed more than 500 business leaders drawn from BSR’s global network of nearly 300 member companies. The survey asked executives to evaluate the past and likely future progress on 14 key sustainability challenges. Considering the next 20 years, respondents rated sustainability reporting, water, and responsible supply chains as the areas in which business will likely make the most progress. In contrast, respondents were least optimistic about future progress being made in public policy, governance, and employee treatment. According to the poll, respondents indicated that the most progress has been made in health and safety, sustainability reporting, and community/social investment. It shows that corporate practitioners believe the least progress has been made in sustainable consumption, public policy, and water. Respondents indicated that they expect the business community to make strides on water related issues in the next 20 years. However, other issues—including sustainable consumption and public policy—will remain ongoing challenges over the next 20 years. A total of 42 percent of respondents identified climate change as the top challenge for business. The second biggest challenge is establishing a strategy that achieves the greatest impact. It is increasingly evident that large corporations are committed to sustainability. “Big companies have decided that this is a long-term play,” says Thomas Lyon, a professor at the University of Michigan’s Ross School of Business. Sustainability may be expected of big business, but small businesses will also need to get involved. Sustainability strategies are all about survival, but this is a double-edged sword that implies both opportunities and threats. Nonetheless, sustainability is a necessary risk for big and small businesses alike. There are many reasons driving small businesses to get serious about engaging sustainability. Sooner or later, sustainability will be the standard across the board, those who get there first can stake out territory and refine their practices ahead of their competition. Those who do not engage proactively may not make it to the finish line. Sustainability can also decrease costs, increase market share, attract talent and enhance innovation. We need new political-economic models that entail both incremental change and radical shifts. This will not necessarily entail a wholesale collapse of the current system. Radical transformations can be built on the current system. Multiple incremental changes can be incorporated to build capacity, capability and maturity. Anticipatory design can serve as a disruptive innovation. However, to create a truly sustainable world, we need to dramatically transform our economy. We will need new system designs that encourage and support environmental, social, and ethical principles. The profit motive can be made to serve sustainability as an engine that drives growth. Sustainability focused on profit is the only way to induce the changes we need to see in the time we have available to us. The major shift from a business as usual approach will require both radical transformation and working on transitions within the existing system. In the absence of dramatic public policy initiatives from national governments, the business community is on the front lines of sustainability.